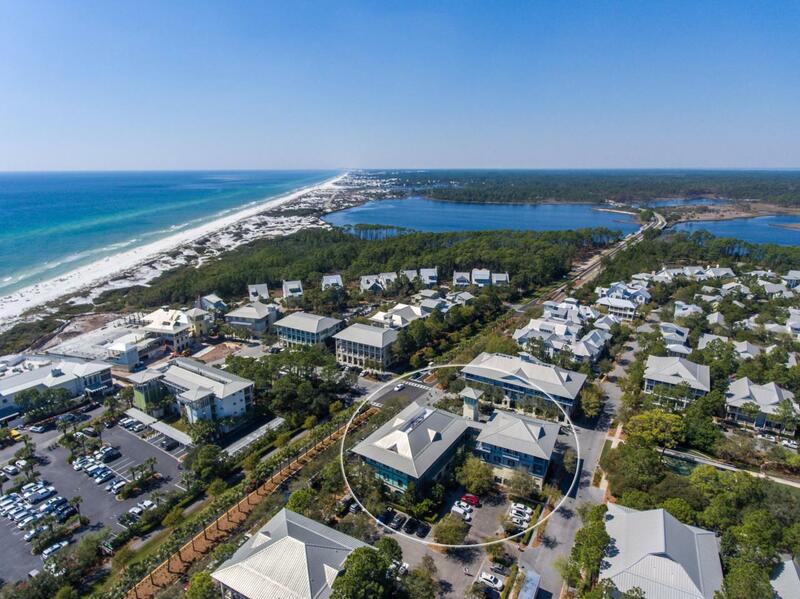 Nestled in the heart of WaterColor's Town Center, this condo offers the incredible opportunity to own just one block from the beach. 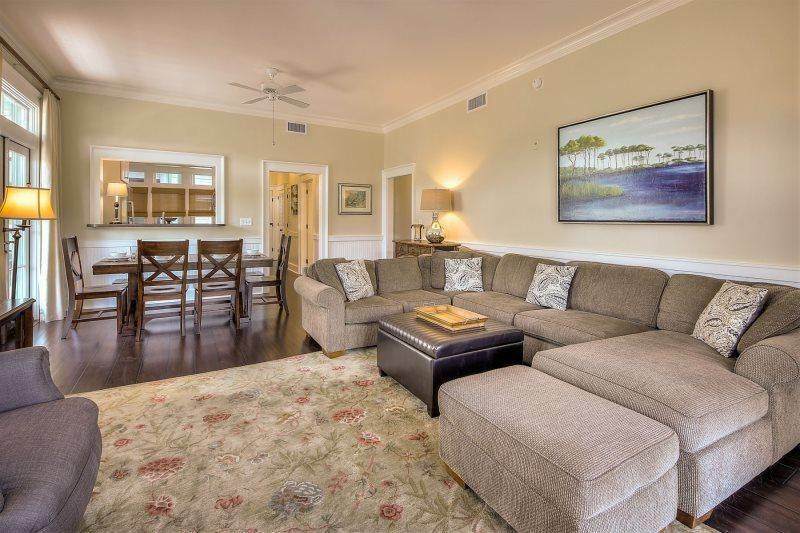 Upon entering this spacious corner unit, you are greeted by an open living and dining area surrounded by two spacious balconies with French doors on the western and southern sides offering an abundance of natural light. Off the dining area, you'll find a kitchen stocked with stainless steel appliances and tall white cabinetry for a light and airy feel. 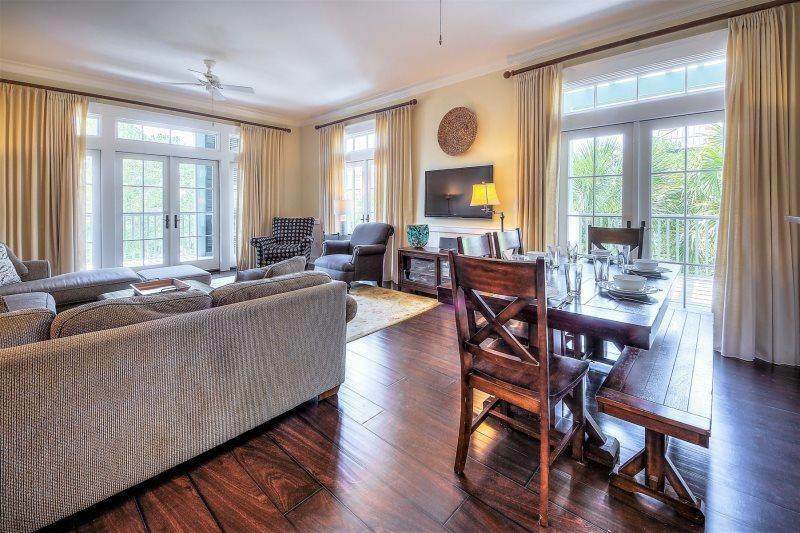 This home is adorned with warm toned hardwood floors and large windows throughout. 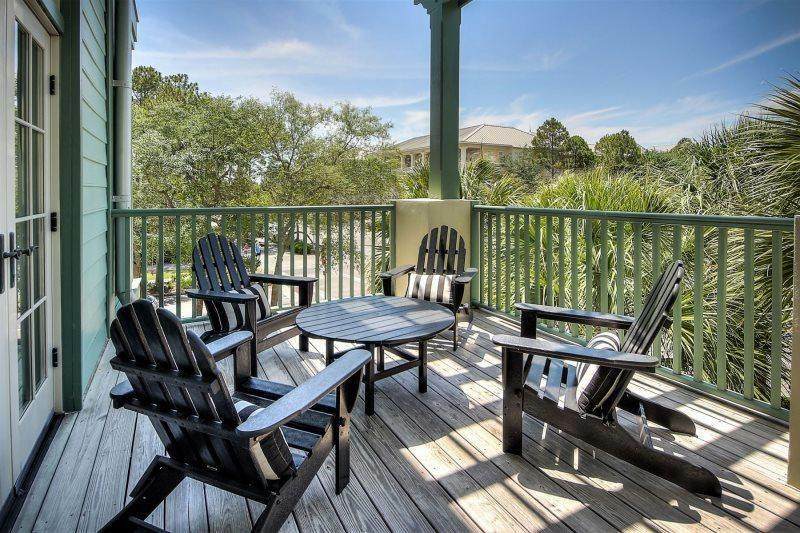 The master suite provides a peaceful retreat with French doors leading to the southern covered balcony and a private bathroom with a soaking tub and separate walk-in shower.